"Ölablassschraube mit Dichtung, für alle Motoren"
A very nice reproduction of the oil pan drain plug used on just about every MoPar engine ever built. 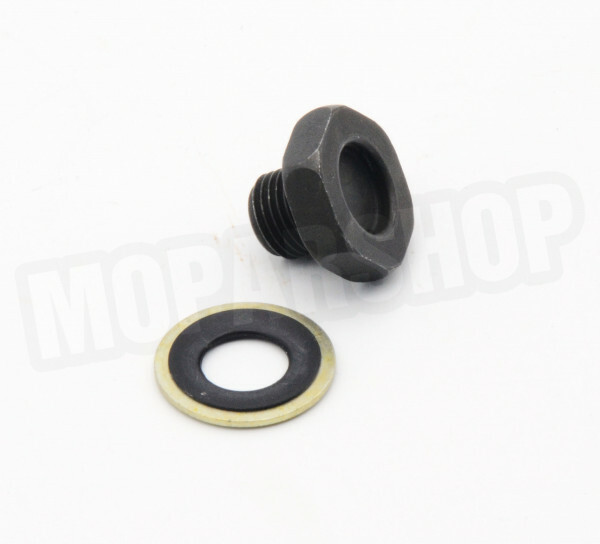 Includes steel sealing washer with vulcanized inner rubber seal for extra leak protection. Plug is zinc phosphate coated.